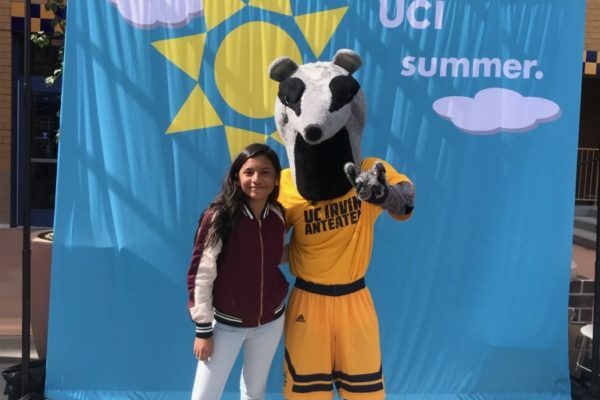 Jefferson Middle School has teamed up with UCLA to launch the inaugural Get Your A’s Up Literacy Academy for sixth- through eighth-grade African-American students. The program is designed for students to experience the enjoyment and power of literacy through a variety of team building, reading, dialogue and problem-solving activities. Every Friday, students meet with UCLA California Reading and Literature Project Director Shervaughnna Anderson-Byrd to discuss assigned program texts. The program will culminate with a field trip to UCLA this spring and a literature celebration. Follow-up Story: Using teamwork to inspire healthy lifestyle choices, two Paramount High School Class of 2009 graduates returned to Leona Jackson Middle School as volunteer coaches for Girls on the Run, an after-school program geared toward empowering young girls to make positive choices in their lives while they train for a 5K run. 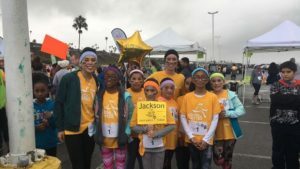 Gabby Robles and Letti Sandoval met with 15 Jackson fourth- and fifth-graders twice a week for 10 weeks as they prepared for a 5K run at Dockweiler State Beach on Dec. 11. Girls on the Run is a national nonprofit organization that emphasizes empowerment and responsibility for pre-teen and teenage girls. Each after-school practice doubles as a life lesson for the participants, using positive reinforcement to build the stamina needed to complete a three-mile run. 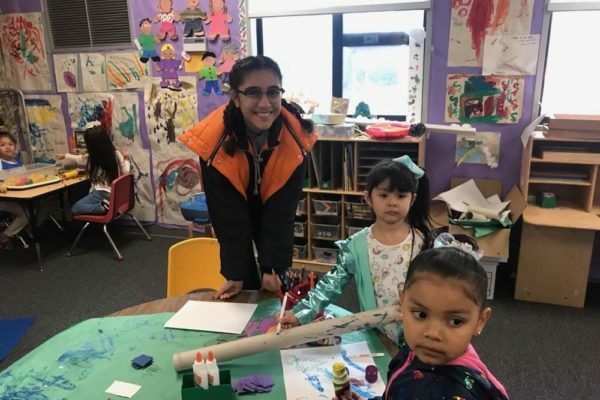 Follow-up Story: Paramount High School graduate Gabby Robles returned to the District as a coach for the nonprofit Girls on the Run, seeking to inspire girls in fourth and fifth grades to recognize their inner strengths and forge a positive self-image through health and fitness accomplishments. 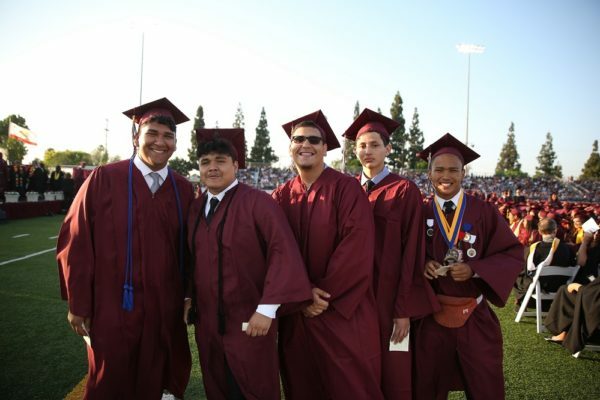 Robles met with students at Leona Jackson Middle School twice a week throughout spring 2016 for training sessions that bolstered their self-esteem and challenged them to establish long-term goals for their lives and accomplish them. The training culminated in a 5K run at Dockweiler State Beach on Dec. 11. Follow-up Story: Paramount High School received a special visit on Dec. 3 from Lt. Col. Robert J. Friend, one of the Tuskegee Airmen who served in World War II. Friend spoke about his time as one of the first African-American aviators in the U.S. armed forces. Social science teacher Anthony Morelli coordinated the event after meeting Friend at an airshow. Friend spoke with nearly 250 students during a question-and-answer session and presented a video about the Airmen. The Paramount High School Promise staff has visited McBride High School in Long Beach, Da Vinci Schools in El Segundo, High Tech Los Angeles and Del Lago Academy in Escondido, meeting with school staff to glean curriculum ideas. The Promise staff consists of 29 teachers, staff, parents and community members dedicated to expanding learning opportunities for the District’s nearly 5,000 high school students. The team is building relationships across the state to inspire improvements for Paramount students. 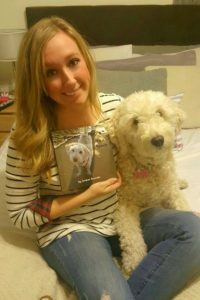 Amber Bronder, a teacher at Paramount Unified’s Harry Wirtz Elementary School, has published her first book, “Penny the Pup’s Day at the Beach,” inspired by the encouragement of her first-graders and an adorable Goldendoodle. The book details the fictional adventures of Bronder’s real-life pet, Penny, as she gets separated from a wedding party at a local beach. The book was released Nov. 23, and is available through online booksellers Blurb and Amazon. Alondra, Jackson and Zamboni middle schools have been designated as Schools to Watch by the California Middle Grades Alliance (CMGA) for their high performance and impact. The California Schools to Watch program selects middle schools as models, critiquing academics, developmental responsiveness, social equity, and organizational structures and processes. 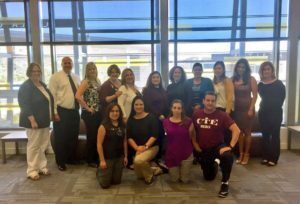 Paramount Unified’s Jefferson Elementary School has received a Golden Bell from the California School Boards Association (CSBA) for an instructional program that fosters professional development and improves curriculum. The “Growth Mindset is Paramount” program applies professional development with support from academic coaches and processes that include learning walks, grade-level collaboration and site-based professional learning. The CSBA Golden Bell Awards, now in their 37th year, promote excellence in education by recognizing outstanding programs and practices. 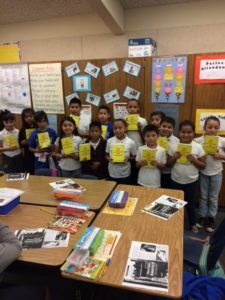 Follow-up Story: More than 1,100 excited third-graders received a surprise donation of personal dictionaries from the Paramount Elks Lodge, a gift aimed at encouraging reading and vocabulary proficiency. Elks Lodge members visited the District’s 11 elementary schools from Oct. 3 to 7, visiting with students in each third-grade classroom. The charitable organization stressed the importance of the dictionaries and encouraged them to start their own personal libraries. Follow-up Story: The Paramount Unified School District community passed Measure I on Nov. 8 in a show of support for strengthening student educational opportunities. The $106 million bond measure, which received 84 percent of the vote, will fund updates, repairs and modernization of the District’s 10 elementary schools, four middle schools, a K-8 school and two high schools. Next up for the District is prioritizing the schedule of projects to be funded with the new bonds and selecting individuals for a citizens bond oversight committee.